After the success of their last mission helping a leprechaun, the team is ready for another challenge! But when the latest mission is given to their arrogant classmates Lissa, Gashsnarl, Jori, and Trom, they're stuck waiting for an assignment of their own. Just when it seems as though all hope is lost, the head of the isle gives them an urgent mission. There's a cyclops who lives in a cave on the island, and he's being pranked by some trolls! Can the misfits find a way to work together with their rivals to solve the case? 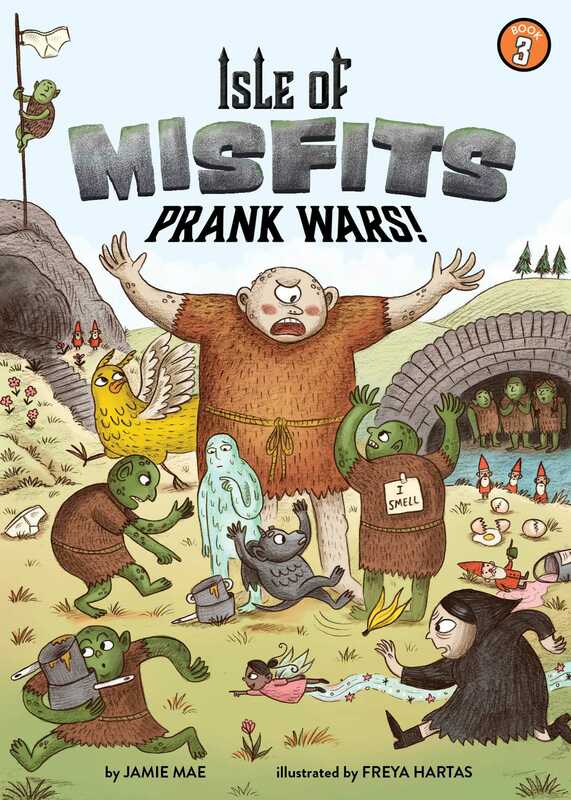 Book Cover Image (jpg): Isle of Misfits 3: Prank Wars!